Here are 3 tools that most people should have but don't. They're all very easy to use, super affordable, and will impact your wardrobe greatly! Read on for the details! 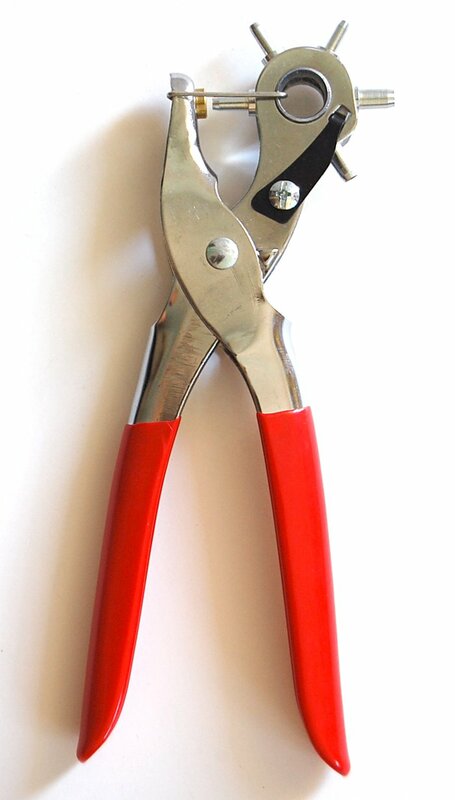 You may have never seen a leather hole punch tool , but it's commonly used by cobblers. If you want an extra hole on the strap of a bag or a belt, this is what most cobblers will reach for. 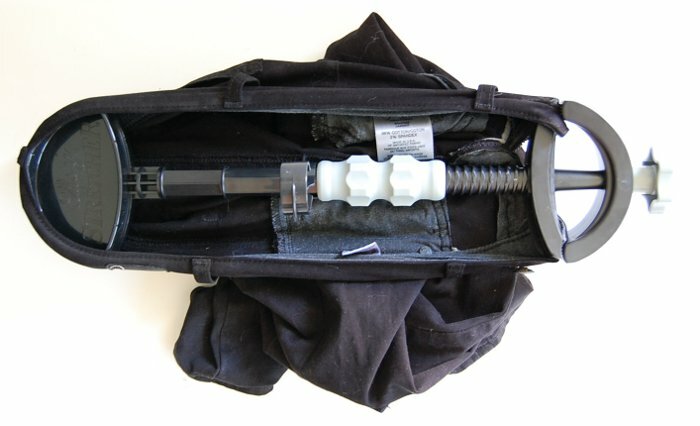 This item is extremely easy to use, and incredibly wonderful to have on hand! It only costs about $10-$20 at a crafts store. It is also available here at Amazon . 1. Measure and mark where the hole should be. 2. With a small hole diameter selected, punch a hole. 3. If the new hole is smaller than the others, select one that is slightly bigger and punch again. It's always safer to select a small hole to begin with. We have all found a pair of jeans or pants that fit oh-my-god-amazing everywhere except they're tight around the waist or hips. You know you shouldn't buy them, but they end up in your closet anyway. In the end, the bottoms just take up space in your closet. :( The affordable waistband stretcher solves that problem! 1. Wash pants or jeans OR wet the waistband area. 2. While the area is still wet, unbutton or unzip the bottoms. Fit the waistband stretcher in and use the clamp to hold the opening of the pants. 3. Turn nozzle until the pants are stretched. The stretcher will have marks indicating the number of inches of stretch. 4. Hang the stretcher and pants until dry. When the bottoms get washed again, the pants will return somewhat to their original size. To restrict this from happening, do not put the pants in the dryer. While they are wet from the wash, put them back on the stretcher. The pants will eventually stretch out permanently with repeated action. When fashion beckons us, it's hard not to listen to the siren call of a beautiful shoe. The store doesn't have your size anymore, but the somewhat tight shoe is exactly what you've been lusting for. It'll stretch out with a few wears, right? There's no need to cramp your toes and kill your feet making those gorgeous heels perfect. Especially not when there's a tool specifically designed to make slightly too tight shoes perfect! The shoe stretcher is another inexpensive tool that will save you hours of pain! 1. Put relief pods (comes with most shoe stretchers) on the wooden form where you need it. Example: If you have a small toe that always feels squished, put a plastic pod at that spot. 2. Fit the wooden form into the shoe. 3. Adjust the form wider or longer depending on your needs. 4. After 12 hours, try on the shoe. If it's still too tight, repeat. Repeat until shoes feel good. I have used and tested all of these products. These items are very useful to me, and if I were to lose them, I would purchase them again.